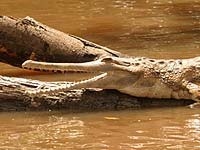 The CSG's Tomistoma Task Force is dedicated to quantifying the status of the False Gharial (Tomistoma schlegelii) in the wild, identifying the threats to which the species is exposed, and to promoting such actions in cooperation with range States and others as may be deemed appropriate for achieving sustainable conservation benefits for the species. Chair: Bruce Shwedick. Given the critical status of the Siamese crocodile (Crocodylus siamensis), the CSG's Siamese Crocodile Task Force seeks to coordinate work to improve the status of the wild population, through reintroductions, research and management of the species throughout its range. Members are mainly within range states, or organisations that contribute to in situ programs. Chair: Dr. Parntep Ratanakorn. Conservation of wildlife is no longer the purview solely of biologists. It requires a diverse set of skills, such as an understanding of bio-politics at an international level. Such knowledge is needed for global forums such as CITES. Recognising that senior CSG members have acquired vast knowledge and experience of the issues over the years, the CSG recognised the need to disseminate this knowledge to younger CSG members - future leaders of the group. The CSG's Future Leaders Working Group was established with this purpose, to ensure a continuation of the CSG’s effectiveness across any changes in senior or Steering Committee members over the coming years and decades. Chair: Dr. Pablo Siroski.